Beyond the bright piazzas and open markets of the Venice Carnevale lurks a masked thief. Despite months of investigations, the Italian police remain helpless as stolen treasures vanish in the night. The authorities have asked you, as detective Nancy Drew, to join the case and infiltrate a dangerous crime syndicate. Can you catch the phantom thief before he or she destroys the heart of Venezia? Find out in the Adventure of Nancy Drew: The Phantom of Venice. 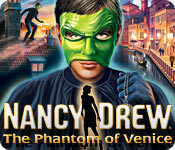 Nancy Drew: The Phantom of Venice is rated 4.4 out of 5 by 21. Rated 5 out of 5 by 16paws from Happy Discovery Having bought this game, along with Ghost of Thornton Hall from the original producers, and having paid $5.99 in addition as insurance, I was dismayed to find that neither game would run, as coincidentally (?) the five-year insured term had run out. Free downloads to replace the games were unavailable. What a loss! Nancy Drew mysteries are unmatched for excellence when it comes to story, graphics, characters and challenge. In Phantom of Venice, Nancy proves as usual to be a fearless investigator, dealing with a fascinating range of characters, including an anonymous rival whose identity is revealed in the game's conclusion. Nancy doesn't shy away from the varied dangerous activities involved in tracking the villain known as The Phantom. Adding to the fun is searching the different locations for spare Euros to help pay for snacks and gondola trips around the city. Highlights include dancing at a music show and sneaking around a lab monitored by robotic cameras, and especially, joining in a police stakeout. Now that both the games I lost are offered by Big Fish, I can recover them. Thank you, Big Fish, for offering these games for sale. Rated 5 out of 5 by Kimmycoo from Awesome game You will be transported to Italy. The scenes, the buildings and the water and gondola, everything about this game, rocks. I had to use a walk through with this one, but it suits me. I beat it! 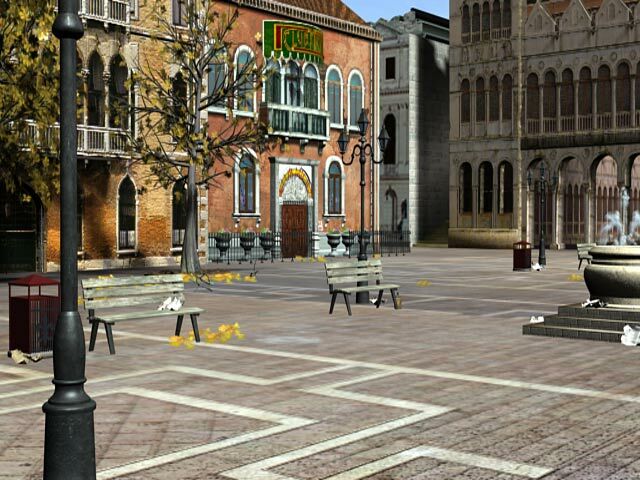 This can be a tough one but if you want to feel like you have traveled to Ye Old Venice, play this one! Rated 5 out of 5 by msherrell from Fun Great Game, very fun!! Definitely recommend this game! Rated 5 out of 5 by spenny1 from My favourite Nancy Drew yet! I've played quite a few of these now, but this really is my favourite. I haven't played any for a while, so I played on junior detective, and I had the checklist for clues to remind me what I was doing, although I didn't need them much, and as soon as the game started, it was like being back with an old friend. The story was engaging from the start, and I always felt I was moving forward and achieving something. The graphics in this one are the best I've seen in in these games, and the characters are well animated and all have plenty of personality, they are also all very well voiced. I also found the controls and navigation easy to use. In my opinion these is just the right amount of talking and information gathering, I never felt anyone was waffling on, well, maybe Prudence Rutherford a bit, but that suits her character. It really has a bit of everything. You have a map, so the exploring and navigation is simple, and the gondolier rides are beautiful. There are plenty of puzzles, all solvable but with a good level of challenge. The mini games are great, the dancing is great fun, and the scopa is really quite addictive, could be a good stand alone card game. There's even a chance to get a bit of shopping in, should you fancy it, which adds to the few necessary wardrobe changes. There are places where you can come to harm, but this adds to the excitement, and you do get second chances (and third and fourth as I found out!) I have to admit to glancing at a walkthrough for one part really near the end, but compared to most adventure LGFs, it's nothing really. Everything is logical and makes sense, I really felt like I was conducting an investigation, and the whole game is just really great fun, hours of fun! I don't think I've ever given a full 5 star rating before for fun factor etc, but this really does have it all for a great adventure game. I got a genuine sense of achievement when I wrapped the case up, although I would have happily played on for another day. Let's hope we get another new style Nancy Drew at Big Fish really soon. Rated 5 out of 5 by outlandish38 from Confession of a ND Addict This has got to be one of my favorite Nancy Drew games. I never really liked first person adventures with hard puzzles until trying ND games. Now I’m so hooked I won’t be happy till I’ve played all 26! Now I’m a guy and am used to playing classic style adventure games like Monkey Island or Broken Sword or Secret Files. So I wasn’t sure I’d like Nancy Drew. In ND you never actually see Nancy. It’s always from her perspective. Usually when they do show her it’s only in silhouette or in this game there’s a dancing mini game but she’s completely covered in a costume and mask so again you never see her face. In this game you can also change what she’s wearing, and it really ties right into the plot, which I really liked. Even in the “paper doll” like view, showing what she’s wearing, she’s just a silhouetted outline. I think that’s pretty cool because then it you feel more like your in her shoes. (Not exactly in my case since I’m a guy, but aside from that I do feel more like I'M the detective and not just controlling a detective character on screen, which is pretty cool.) I really like how wholesome these games are. No real violence or any blood. There’s some suspense in places, but nothing really scary in this particular game. No inuendos or unrealistically proportioned heroines in their under garments, like so many games these days. So I really liked that. It’s a good change. You CAN lose, but it lets you try again right from the start of the perilous moment. This game has excellent voice acting and graphics as usual. 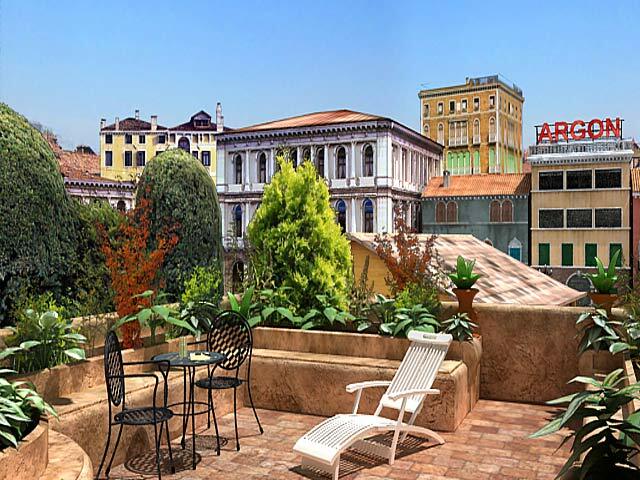 The setting of Venice is great and you get to learn something about it and get the feel of being there. There aren’t a ton of characters but they are colorful and fun to talk to. I really got into the story. There’s not so much mystery but there is a sense of being undercover and working with the police and secret service which was great. It should be said that one of the “trademarks” of ND games is that you can’t skip puzzles, minigames, or dialog. So I found myself having to do certain mini games over and over until I beat them. I usually hate that, but the major mini game in this is the card game Scopa which at first I found hard and frustrating, but after starting to get good at it, it felt pretty good when I finally beat my opponent fair and square. It’s actually a pretty fun card game, and requires some practice and skill to play, but it gave the sense of being in Italy. I looked the game up on Wikipedia and I guess it’s one of the major national card games of Italy, which is cool. I'm not into card games as a rule, but I liked the variety in this game. There's also a variety of puzzles and not just the usual stuff. This game does involve several cyphers and you have to figure out how to break several codes and secret messages. And they’re pretty clever, I thought, but hard. Still I figured out most of them, and I only had to quickly glance at a walkthrough a couple times (mainly out of laziness), and I had to get some hints from Nancy’s boyfriend, Ned and also Joe Hardy, whom you can call on the phone. But I was surprised I figured out almost all of it myself. Again, I love the feeling of getting to be the clever detective (even if it's only the "feeling" of being clever :) One word of warning though. I had to take a TON of notes to help break the codes and figure out some puzzles. I actually started taking photos of my screen with my iPad and annotating over them and using it to make notes. Worked great but I still used up a lot of sticky notes trying to track everything. There is a journal but it doesn't track everything. So if you're not into taking notes of clues you may find this a hard game. Personally, though, I loved it. All in all though, this is one of my faves and I can’t wait until the next one. Rated 5 out of 5 by cindyd1004 from Fun and Challangeing! If you haven't tried any of the Nancy Drew games, this is the one you should try! There are so many puzzles! A couple of them are really hard! They let you choose if you want the game in an easy mode or a hard mode. But there really is no difference. In this game, I needed some cheats at a couple of puzzles. If you mess up the game will let you have another chance. Rated 5 out of 5 by redbunny311 from Excellent Game!!! It is my first Nancy Drew game. 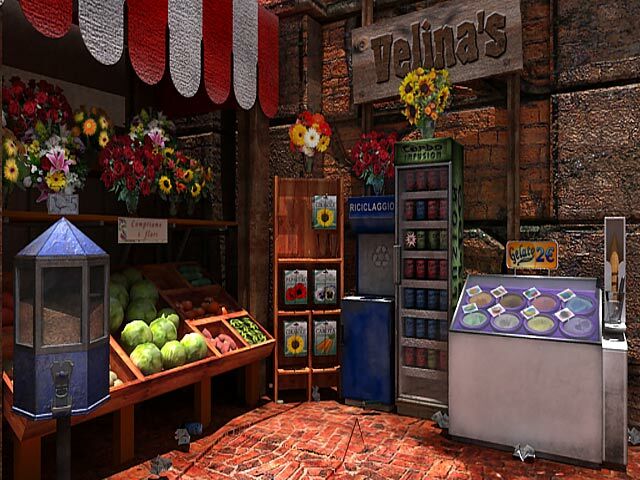 It is very challenging and I like how it provides some hidden objects, so you can unlock some small clues. Rated 5 out of 5 by melantha5 from My absolute favorite ND! This was my first ND game and the one that got me hooked. I loved the environment, characters, puzzles, and minigames. I spent nights awake trying to master dance moves (in catsuit, of course) and replayed the minigame Scopa many times. I think whether you like many ND games depends on whether you are interested in learning about whatever environment Nancy is immersed in. This is a great game, so if Carnival, chess, or Italy are of interest to you, don't pass on this one. Tour the Sunken City while interrogating suspects to nail the masked thief in this authentic Adventure game.